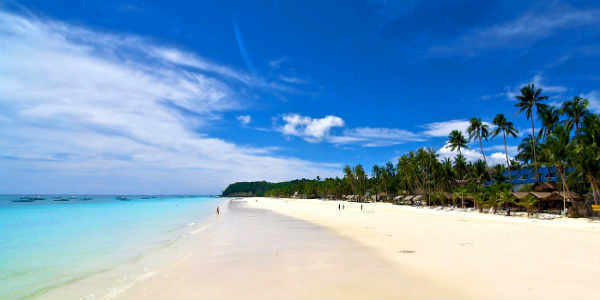 ​Boracay is a small island in the Philippines in the Western Visayas. It's multi-awarded as the "Best Island in the World". It is not only famous for its white powdery fine sands but also emerging as a destination for tranquility and night life. Various leisure activities are available that includes scuba diving, windsurfing, kite boarding and pure beach relaxation. 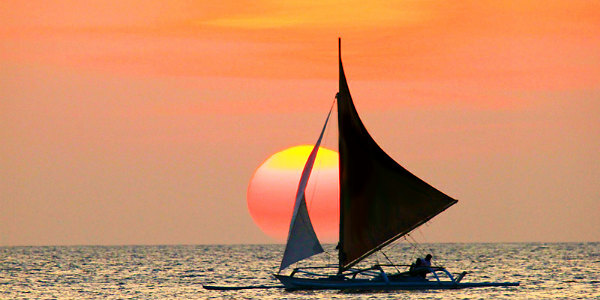 Visitors will definitely fall in love with Boracay. Tip: Flights to Kalibo are cheaper than flights to Caticlan. If you're not pressed for time, you might as well book to Kalibo & see the countryside scenery. ATM's can be found in Boracay. Most restaurants accept credit card as well. Day 1. Arrival in Kalibo or Caticlan airport. Look for your name in the arrival area. Meet & transfers to your hotel. Day 2. After breakfast, get ready for a full day of beach bumming or avail of Optional tours. Day 3 After breakfast, free time until airport transfers. For 4D3N, after breakfast, free time or avail of Optional tour. Paraw sailing. A Paraw or Parao is a small boat that is native to the Philippines. Its single shallow hull is usually made from wood and bamboo. On a Paraw’s sides are two floaters or logs that act as outriggers or katig to help balance the boat and prevent it from capsizing. Boracay Island Hopping with Lunch. Get on a local bangka (boat) and enjoy the day cruising off the white beaches of Boracay. Visit Coral Garden, Puka Beach, Ilig Iligan Beach, Crocodile Island, Crystal Cove and Fridays Coral Reef.